Unlike Tallinn, Riga’s Old Town is not confined within a wall. It spreads out to cover a much larger area. especially when you include the well-preserved Art Nouveau District. Something to consider when you’re planning your strategy to see the sites. It is, however, every bit as beautiful as the Estonian capital and has also been designated a UNESCO World Heritage Site. So it’s a little bit the same but with its own unique personality. A haven of peace in the city. 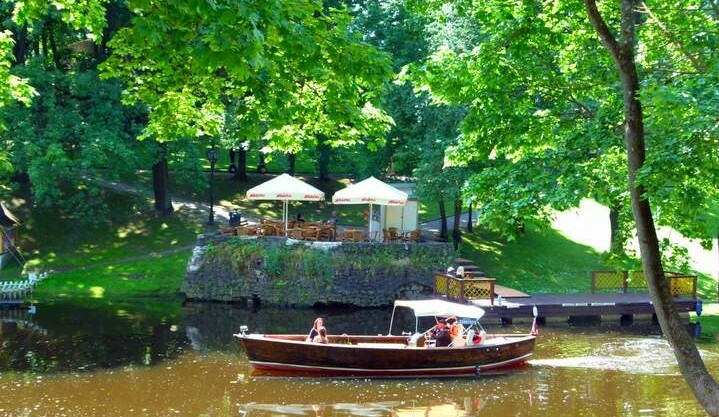 Riga’s Old Town has a parkland next to it with a canal you can either cruise or walk along its banks. The parkland separates the old from the new, keeping the hustle and bustle of the modern city at bay. 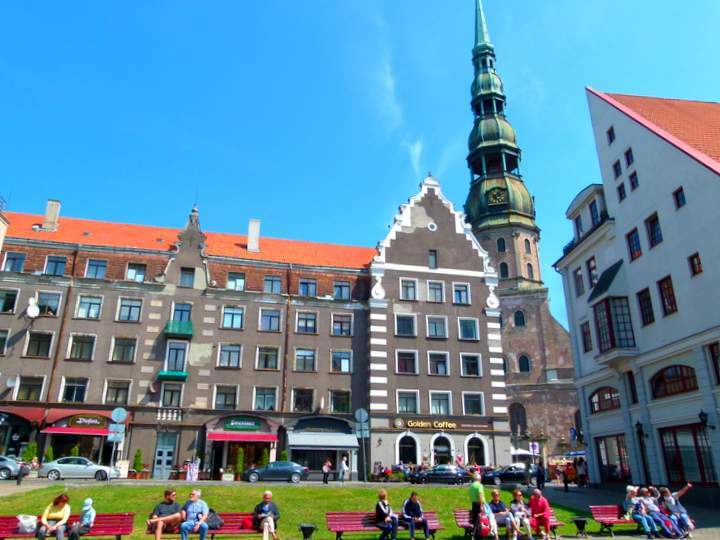 Riga was also part of the Hanseatic League and much of the architecture in the medieval centre reflects this. That means on a sunny day you are bound to get some beautiful pictures. So, this is where we found ourselves on our first full day out in the city. We caught a tram around the corner from our apartment and in about 20 minutes found ourselves negotiating cobbled streets. We couldn’t help drawing comparisons with Tallinn, they share so much in common, on the surface anyway. Outdoor terraces abound and with the returning sunshine, they were full. After some hours of exploring, we were lucky to find a seat outside Beerhouse Number 1, a small pub in Kalku Lela (No.1), one of the main thoroughfares. 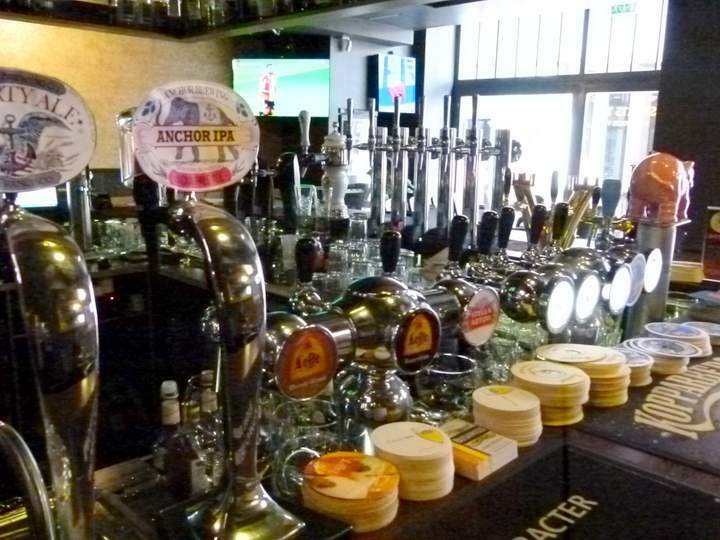 It’s a great place for people watching and had about 60 beers on tap from around the world. To find it, look for the Stella Artois and Alus Krogs signs. With so much on offer, this place became home base after our wanderings each day. 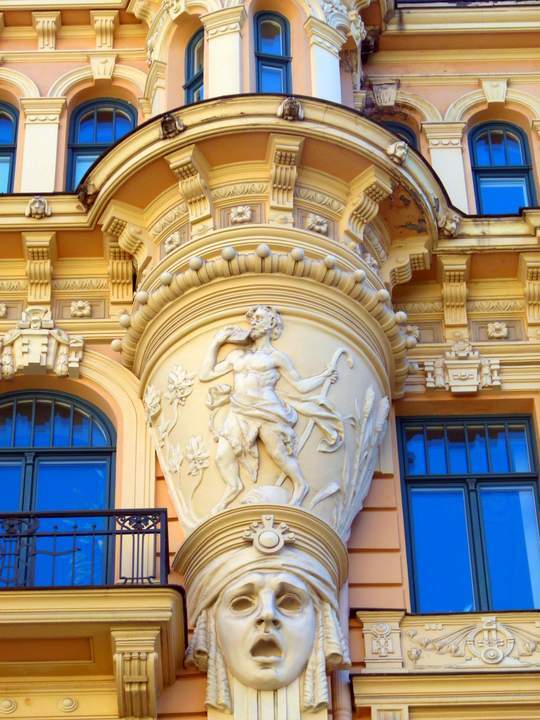 Of all the areas around town, the Art Nouveau District, on the edge of the Old Town is one of our favourites. It’s many elaborate facades are certainly worth a stroll, especially in the early morning or late afternoon light. 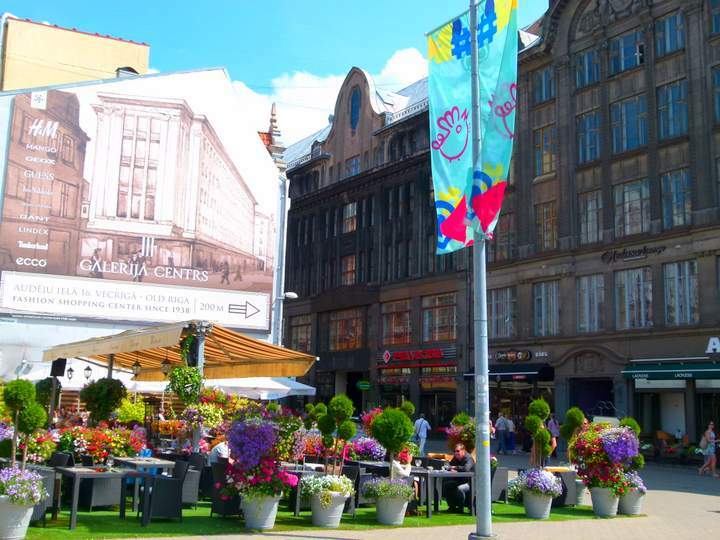 Riga’s Central Market, with its distinctive rounded roofs, is a great place to pick up fresh food. Be a little bit careful though as it gets pretty crowded, so watch your pockets, camera and bags. 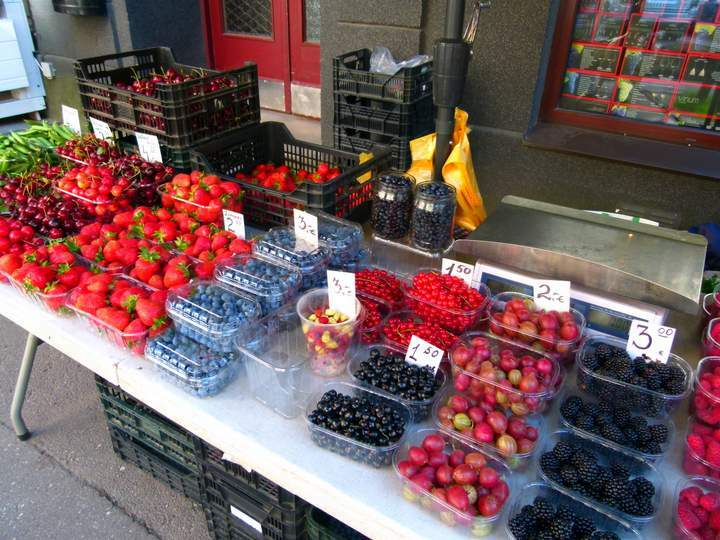 The day we were there summer fruits and berries were the hot items. Amazing colours and excellent prices. If museums are your thing there are plenty on offer, with something to suit all tastes. 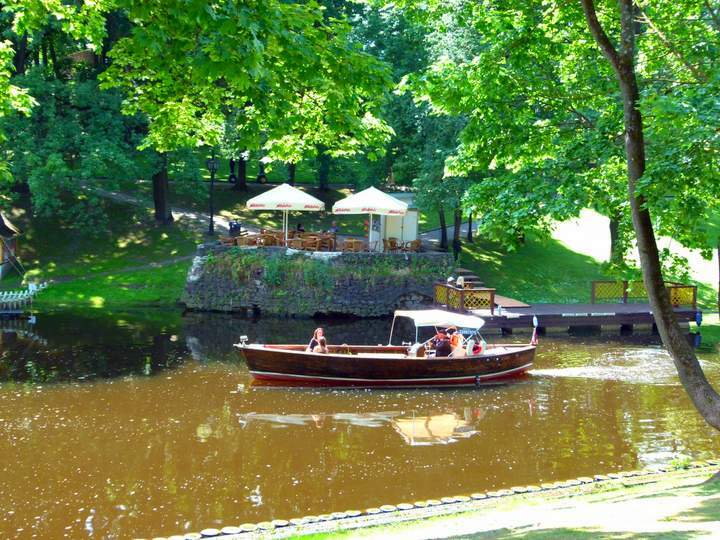 Seek out the Latvian Open-Air Ethnographic Museum and the Museum of Decorative Arts and Design in the oldest building in Riga for a good dose of Latvian culture. But don’t forget some of the smaller offerings like The Riga Art Noveau Museum and a great selection of Art Galleries for more contemporary exhibitions. Spoilt for choice. Beers on Tap at Beer House Number 1. 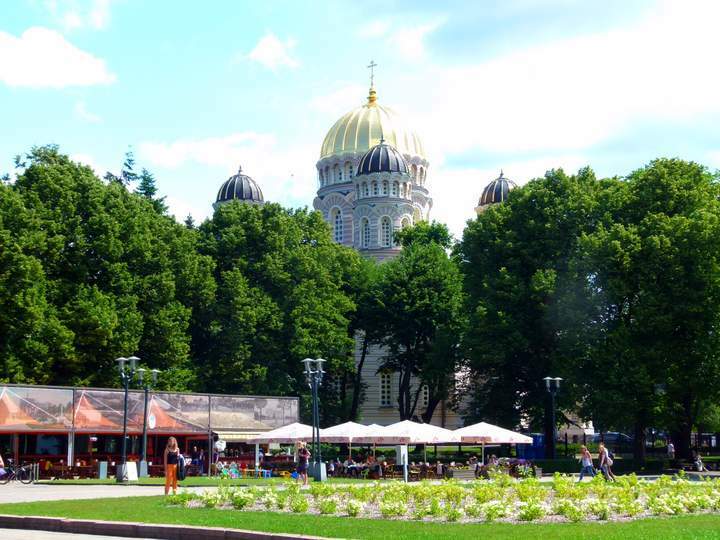 Like Tallinn, Riga has a vibrant cafe and bar scene. There are plenty of live music venues, trendy, casual and fine dining options. With everything from Soviet themed classics through to salsa and cocktails, the city has you covered in the entertainment department. 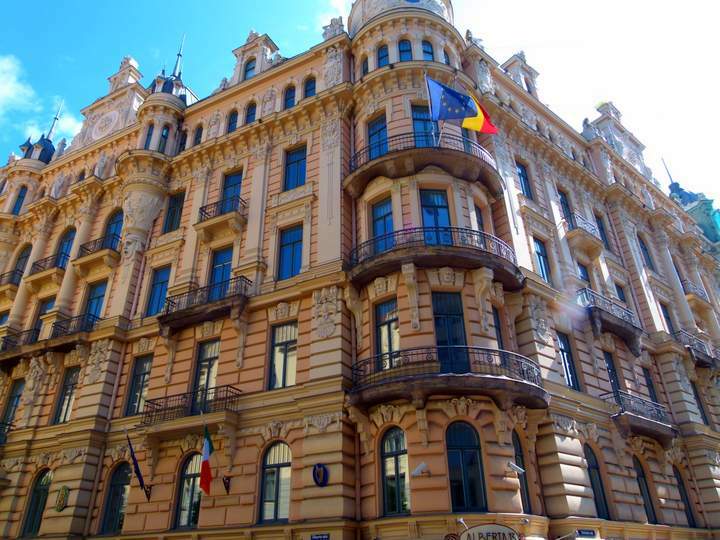 Riga is definitely a great place to put on any European travel itinerary. Beautiful, lively, cultural and fun, it has something for everyone. Whether it tops our experience in Tallinn, we don’t think so, but it’s definitely high on our list of favourites now. We’re just wondering what Vilnius has up its sleeve for us. Have you been to the Baltic States? What was your favourite experience? Let us know in the comments below. Note: This post is now available as a GPS Guided Travel App. 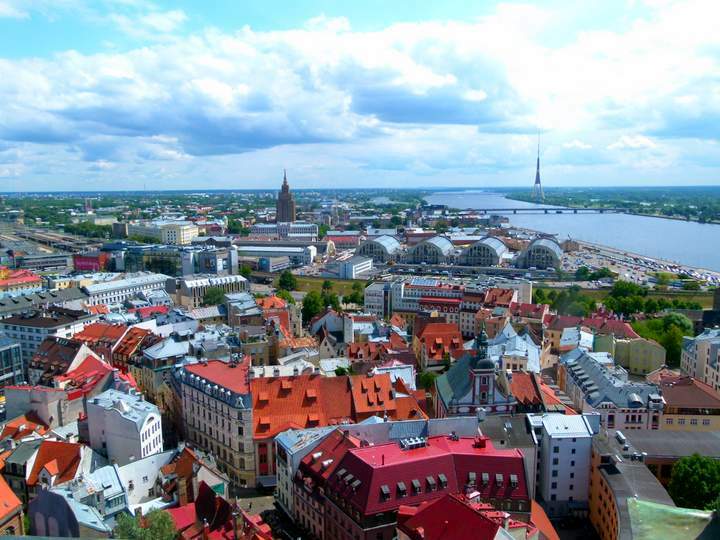 Get the most out of your visit to Riga and DOWNLOAD it for free HERE. Yes, the buildings were beautiful. Slowly but surely they are being restored. Restoration would be a good business to be in. Always plenty of work.